Experience and Restlessness. A company that combines the values of accumulated experience with the restlessness of the innovative spirit. A team of professionals who are passionate about what they do. Architect graduated from the Faculty of Architecture & Urbanism of Universidade de São Paulo (FAU/USP), in 1997. The following year, he founded Fernandes Arquitetos Associados. His first projects were in the residential segment, and later in the healthcare segment, in buildings that now total more than 100,000 square meters of built area and operate over 1,000 beds. In the extensive portfolio of transportation, he has designed numerous stations for subway systems in São Paulo, Belo Horizonte, Salvador, and Fortaleza, as well as the Manaus Monorail and Cuiabá LRT. He created the design for Parque Linear do Rio Pinheiros in São Paulo and started in the sports segment in 2005, with projects for the Pan-American Games. Today, he develops studies and designs for various stadiums, such as Arena Grêmio, Arena Ponte Preta, Arena Pacaembu (refurbishment), Arena São Jorge and Arena Fonte Nova, in addition to projects of Arena Pernambuco and Estádio Jornalista Mario Filho (Maracanã) for the 2014 FIFA World Cup. His experience in the airport segment, which began in 2011 with the development of Aeroporto Internacional de Nacala in Mozambique – the firm’s first international design – led to the Executive Design for the Retrofit of Aeroporto Internacional de Guarulhos (GRU Airport) in Guarulhos, SP and studies for concessions of the Salvador and Fortaleza Airports, in 2015. Being recognized as a pioneer in the use of BIM in Brazil, he helped Fernandes Arquitetos take over the executive design and coordination of all supporting designs for the Museu do Amanhã (Museum of Tomorrow) in Rio de Janeiro, designed by Spanish architect Santiago Calatrava. In addition to designing, Daniel Fernandes acts as speaker at national and international events, in which he shares his experience spearheading projects involving, above all, modernization and construction of stadiums and other sports venues in Brazil. Attendance at international events is also motivated by the presentation of awards and other occasions. Graduated from the Faculty of Architecture & Urbanism of Universidade de São Paulo (FAU-SP) - São Paulo/SP in 2004, but started his career at Fernandes Arquitetos Associados in 2003, working on projects in the hospital and transportation areas. As an architect, he worked on the company's main projects, in the urban planning and infrastructure segments, as well as on stations design of the subway systems of the cities of São Paulo, Belo Horizonte, Salvador and Fortaleza, the Manaus Monorail and the Light Railway Vehicle in Cuiabá. Afterwards, he started working on projects for the real estate market. In 2007, he was involved in the start of sports-related projects for Grêmio Arena and, in 2009, as coordinator, he worked on the projects for the Arena Pernambuco and the Maracanã Stadium, for the 2014 FIFA World Cup. In 2013 and 2014, he was the general coordinator of the executive project and all the supplementary projects for the Museum of Tomorrow, in Rio de Janeiro. In 2015, it followed the Technical Design for the Retrofit of GRU Airport, in the city of Guarulhos - SP, which led to the studies performed for the concessions of the Airports in Salvador and Fortaleza. Rodrigo earned a Bachelor’s degree in 2009 from Universidade Presbiteriana Mackenzie (FAU-MACK), in São Paulo - SP. 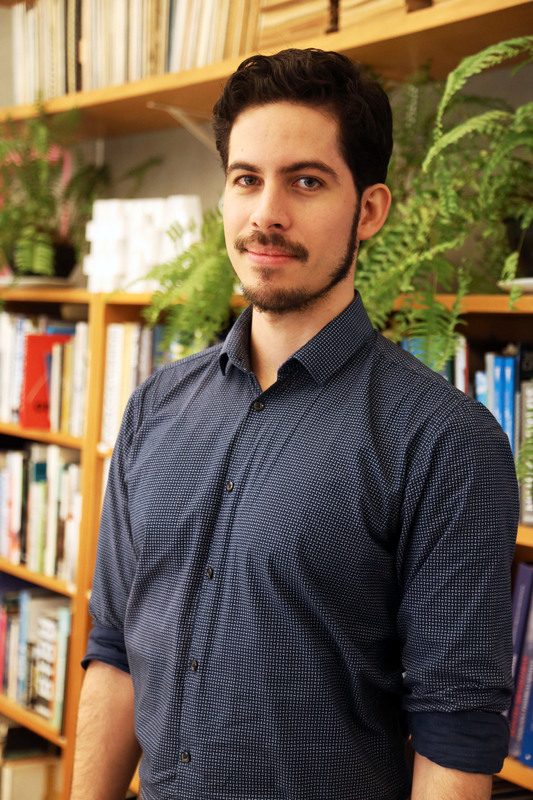 Rodrigo has been working as an architect at Fernandes Arquitetos Associados since 2011, where he has taken part in projects in the infrastructure and transport areas , such as the design for the Lines 2, 4, 6 and 17 of the São Paulo Subway Network, and coordinated the project for Line 7-Ruby for the Metropolitan Train Company. He currently makes part of the Feasibility Studies team, working on projects for new public and private developments, including sport, cultural and entertainment equipment, as well as in the real estate development of multi-functional complexes. In 2015, he took part in studies for the public tenders for the Refurbishment and Modernization of the Pacaembu Sports Complex and the indoor arena Anhembi Complex, undertaken by the Municipal Government of São Paulo. Barbara earned a Bachelor’s degree in Industrial Design from Fundação Armando Alvares Penteado (FAAP) in São Paulo, in 1996, and has been working as a graphic designer for agencies since 1993, still as an intern. In 2000, she opened her own Graphic Design agency, working with a wide range of clients such as Fernandes Arquitetos itself, as well as law firms, restaurants and bars, specializing in digital media. In addition to web sites, she has developed screens for NET TV’s proposals for the digital TV system, as well as a number of hotsites for Microsoft partner incentive programs. With experience acquired at agencies where she has worked, she carried out Visual Communication (signage) projects for NET TV, Escola Pinheiro, and Fundação Oncocentro de São Paulo (FOSP). In some of these Visual Communication projects, she worked in partnership with Fernandes Arquitetos, as in the case of Hospital Estadual Mario Covas in Santo André, and Hospital Estadual de Mogi das Cruzes, as well as for Samantha Café and others. She earned a Bachelor’s degree in Branding in 2004 and in Digital Communication and Marketing in 2009, both from Escola Superior de Propaganda e Marketing (ESPM), she decided to become an entrepreneur as founding partner and CEO of the second wine e-commerce site in Brazil, from 2006 to 2010. When she left the company in late 2010, she started up new consulting firm for Fernandes Arquitetos and in 2011 became part of the team, creating an in-house Communication & Marketing department, as well as developing and implementing new strategic planning for branding related directly new business and coordinating services of media relations.